As readers of this blog would probably realise, I really enjoy watching and listening to many different types of birds. From tiny Swallows to huge Pelicans: I love them all. It’s hard to choose my favourite. How can I resist the gorgeous Parrots that I see almost every day? Is that what Mother Duck is saying? 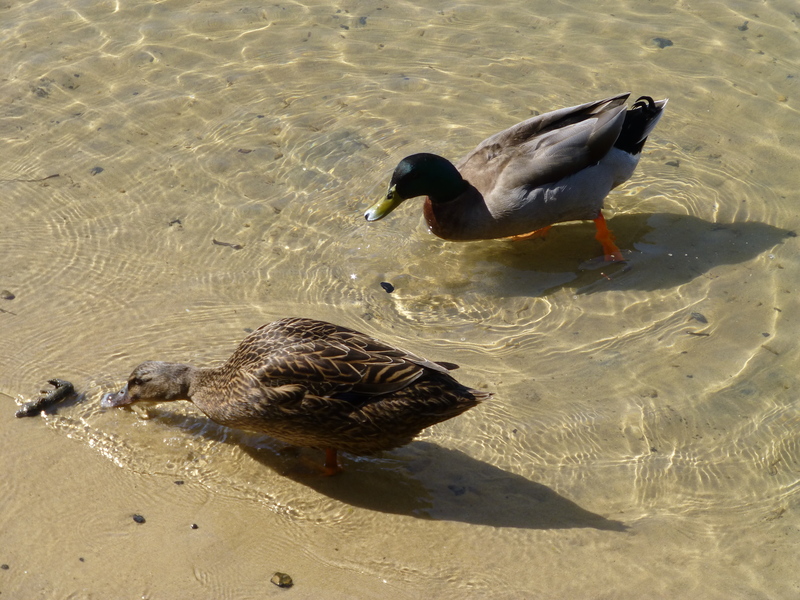 To me, there are few more appealing sights than ducks with ducklings. 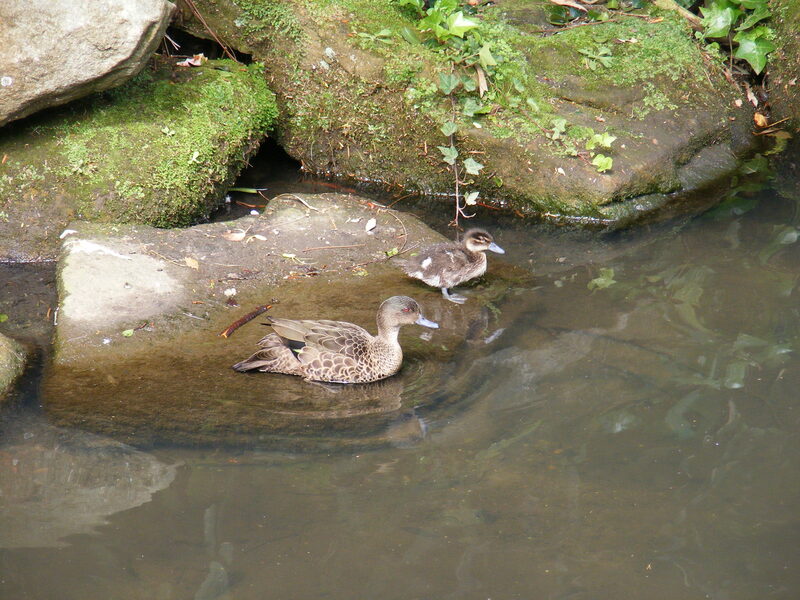 This photo was taken in suburban Sydney, at a public Garden where ducks thrive and multiply. I hope it brings a smile to your face. Readers of this blog will be aware of my fondness for these sweet feathered friends that so often bring a smile to my face…. 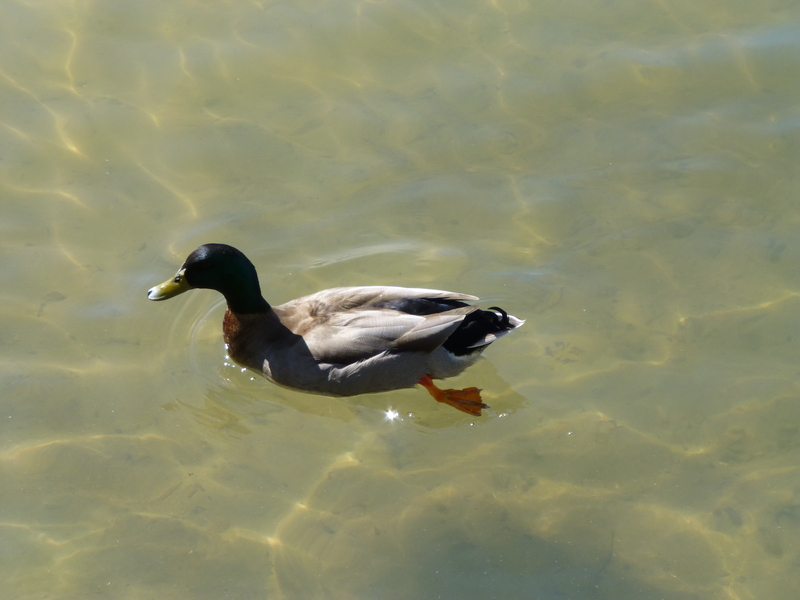 Here’s a photo of a handsome male, swimming in a suburban Sydney river baths.